“Love Again” began life in North Hollywood, so it’s only appropriate that the musical, LOVE AGAIN, should make its world premiere debut in North Hollywood at The Group Rep. In 2006 Doug Haverty (long-time member of The Group Rep and Writers Workshop Co-Moderator at Theatre West) and Betty Garrett (founder of Theatre West) hatched an idea. At that time Betty was still doing plays and musicals and writing songs AND running her long-running and successful Musical Comedy Workshop at Theatre West. Normally, in her workshop, the members would focus on finding good songs to sing for auditions or they would work on songs scheduled for performance. She thought it would be a fun change of pace to actually have them perform in musical one-acts that Theatre West writer members wrote for them. Doug and Betty brainstormed on this and decided to enlist the help of North Hollywood’s Academy for New Musical Theatre (ANMT, which has now changed its name to NMI). So, five writing teams were assembled and they wrote one-acts for the members of Betty’s workshop. She loved this creative process. Doug Haverty invited his collaborator from INSIDE OUT and iGHOST, Adryan Russ and together they wrote two of these one-acts. They were presented as readings at Theatre West and were eventually part of Theatre West’s annual festival of new works called WEST FEST. Additionally these two one-acts were presented at ANMT in their space in NoHo as part of the Dramatists Guild’s national Friday Night Footlights Series. People loved the one-acts and were very intrigued by them and wondered if they could be expanded to full-length musicals. Doug and Adryan considered this, but instead decided to leave them as one-acts and write one more to make an evening of three musical one-acts. In 2014, they presented a two-night workshop presentation at Group Rep (directed by Kay Cole) and it went over very well. Group Rep Co-Artistic Directors, Larry Eisenberg and Chris Winfield offered to include LOVE AGAIN as a full production in their 2014-15 season. Another NoHo connection is that the song, “Love Again” was originally included in Doug and Adryan’s ROLEPLAY (original title of INSIDE OUT) which played at The Group Rep in 1989. When the play was optioned for New York’s Off Broadway production at The Cherry Lane, the producers wanted some re-writes, which included the extraction of “Love Again.” So, “Love Again” lives again, although its use in this production is quite different. Several years ago, Kay Cole was hired to direct a benefit production of INSIDE OUT at The Barnsdall Gallery Theater in Hollywood. So, that’s when Kay and Doug and Adryan had the first chance to work together and it was a wonderful collaborative experience. Two years ago, they sat down for coffee in NoHo and decided to work together on a project and that project turned out to be LOVE AGAIN. Again, it has been a wonderful, collaborative experience and the Group Rep will have a very strong production on their boards; one that entertains, intrigues and offers the audience the chance to answer some questions themselves. As in the Broadway-favorite THE APPLE TREE, LOVE AGAIN is comprised of three musical one-acts all with a similar theme: making difficult choices in love. These three stories are all a bit unusual and inspired by real life events. “In a Different Light” shows us two couples in Paris: one on their second honeymoon, one there on business. One half of each couple were lovers in college and have not seen each other in over twenty years and, naturally, they run into one another in line at The Louvre. How does this happen? Why does this happen? What are the odds of this happening? They discover they still hold a candle for one another and the question becomes: when this happens to you, do you act upon it or just walk away? When fate steps in, do you duck for cover? This story was inspired by a similar event that happened to Haverty and his wife, Dorathy (who has worked in Music Publishing in North Hollywood for twenty years and currently volunteers at The Discovery Shop in Toluca Lake), when they were in England, doing a walking tour of The Tower of London and walked right smack dab into someone they both knew from thirty years ago and had not seen since. The second musical one-act, “Two Lives” shows us two life-long friends, cut down in the middle of running errands and then being confined to a hospital room: their bodies are attached to life-support with little or no brainwave activity being registered. But they are very much alive, vibrant and active brainwave-ically. They sing and dance and try to make themselves heard to those around them. This story was inspired by hospital bedside visits where nurses encourage you to talk to the patient and you wonder if they can hear you or not … or what the patient is thinking behind that cloud of morphine and tubes and monitors. The final one-act, “Forget-Me-Not” focuses on a couple who are part of the sandwich generation; they are taking care of children and divorced grandparents at the same time. This particular couple is finding it hard to make ends meet (imagine that in today’s economy) and confront the very real possibility of having one grandparent move in with them. Then, the unthinkable happens and the wife loses her job and they consider also moving the other grandparent in with them. Both grandparents are dealing with memory issues, so the smart aleck grandson suggests to his parents that they move the grandparents in together and just not remind them that they’re divorced. This story was inspired by real events with close friends of Doug & Dorathy’s. When Doug made this same suggestion that the smart aleck grandson makes, his friend’s response was, “I can’t do that, Doug. It sounds like a play. Go write it.” And so he did. This is truly an ensemble play, featuring a cast of 11. We meet everyone at the beginning of the play as they explain the set-up of three musicals and how the endings are left up to the audience to decide. The entire company appears several times throughout the play reinforcing the other recurrent theme of making every minute count. Some actors play one role, some play two and one plays three. It’s definitely an evening where one must suspend their belief and let the imaginative theatricality of the piece take them on the three journeys. 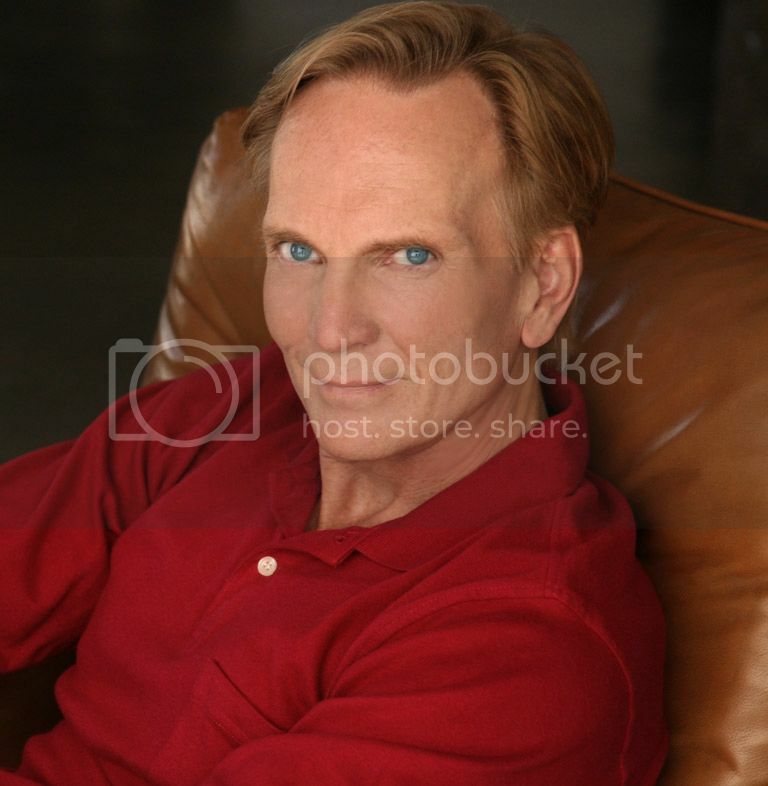 Doug Haverty has been a member of North Hollywood-based Group Rep since 1983. They have produced his plays: IN MY MIND’S EYE (1984 World Premiere); ROLEPLAY – A musical written with Adryan Russ (1989 World Premiere); REACHING UP – A musical written with Adryan Russ (Revised version of ROLEPLAY); NEXT WINDOW, PLEASE (2012) and THE GHOST OF GERSHWIN – A Musical written with Wayland Pickard and Laura Manning (2014 World Premiere). He has also acted in my plays there and serves on the Artistic Council. 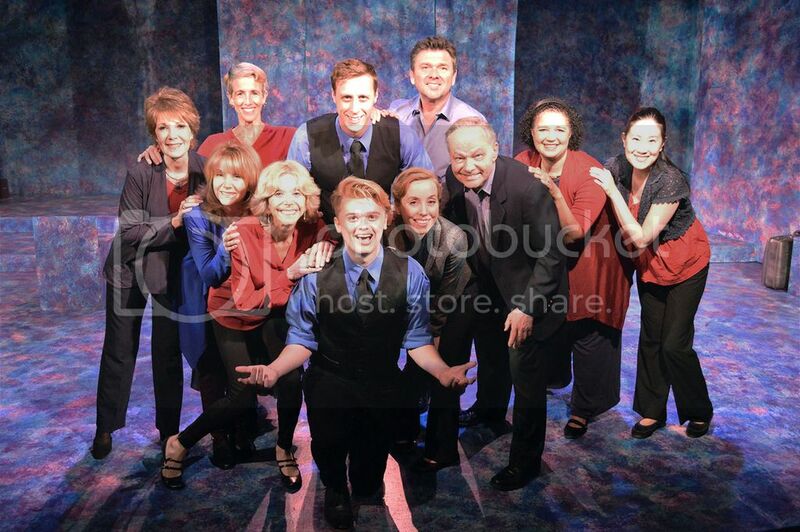 The cast includes: Michele Bernath, Paul Cady, Kathleen Chen, Amy Gillette, Renee Gorsey, Lloyd Pedersen, Lauren Peterson, Andrew Curtis Stark, Debi Tinsley, Elijah Tomlinson and Group Rep Founding Member, Janet Wood. Produced for the Group Rep by Richard Allan Woody and Jon Cortez. Music Direction and Arrangements by Richard Berent.